Hitler led a very successful propaganda campaign against the Jews. 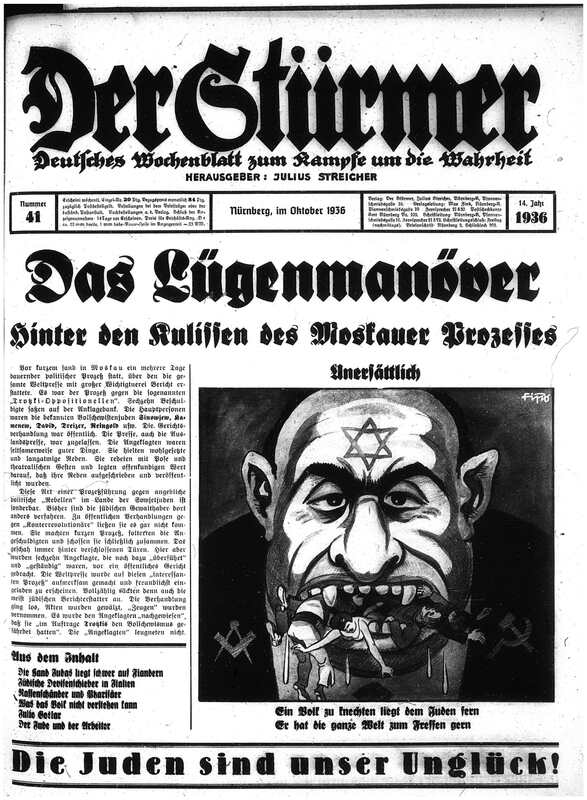 Wherever they could the Nazis used art, posters, pamphlets, cartoons and even postage stamps to get heir anti-Semitic message across to the German people. Take a look at some of this propaganda and answer the questions below. 1. What was the object of anti-Semitic films? 2. Examine the cartoons. Pick one of them and do a quick sketch of it. Explain what it means.